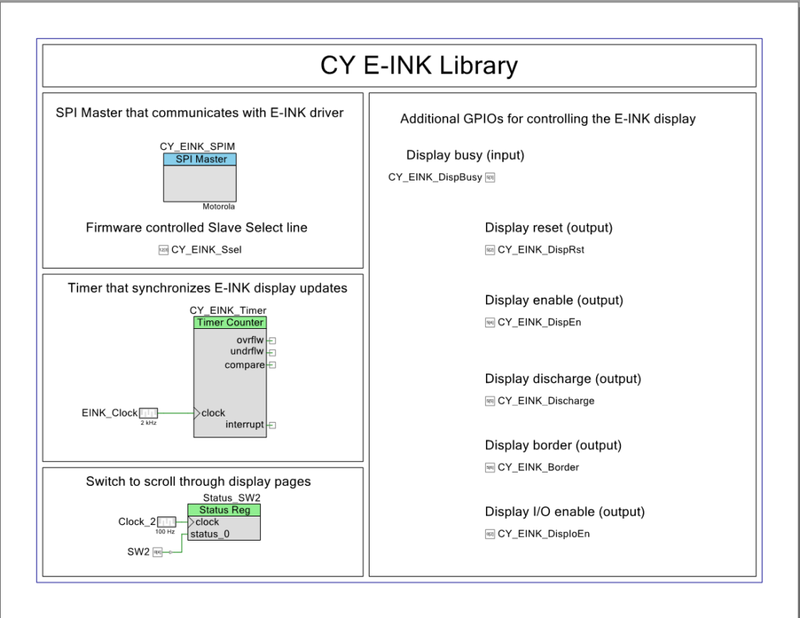 One of my very influential readers is working on a project where he wants to use the CY8CKIT-028-EPD. 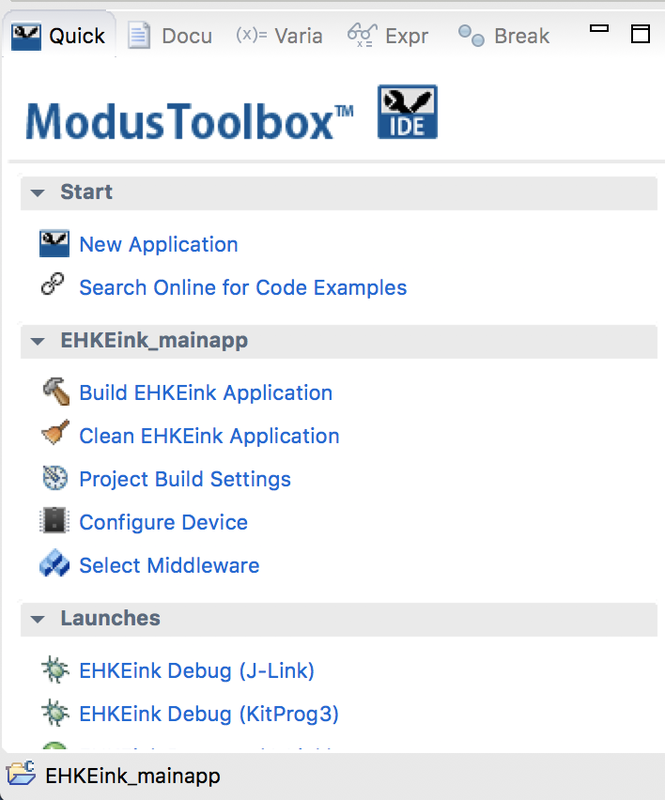 But, he wants to use Modus Toolbox 1.1 instead of PSoC Creator and he observed, correctly, that Cypress doesn’t have a MTB code example project for the CY8CKIT-028-EPD. 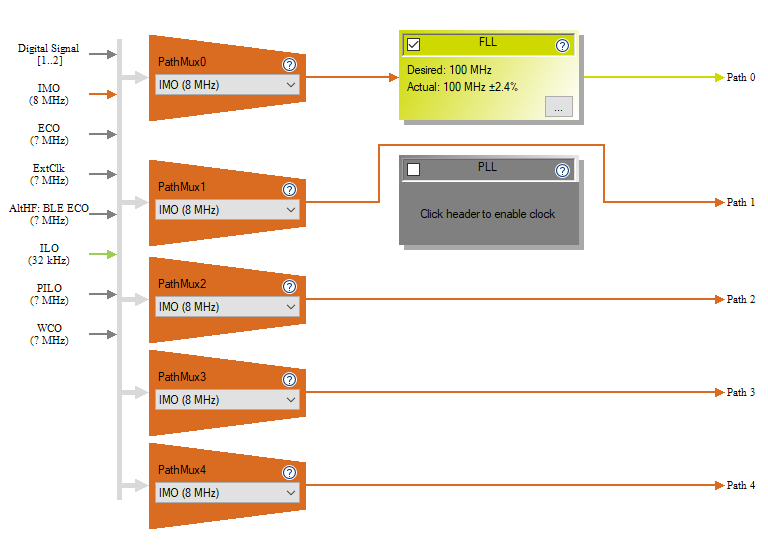 I knew that we had a working code example in PSoC Creator (CE223727), so I decided to do a port to MTB1.1. This turned out to be a bit of an adventure which required me to dig out a logic analyzer to solve self inflicted problems. Here is a picture I took while sorting it out. 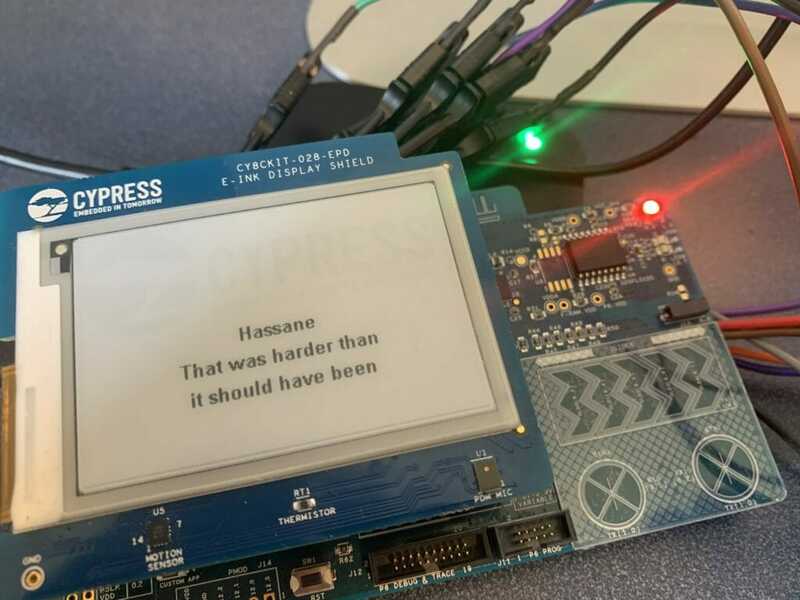 Start by finding the code example project for the Eink Display. 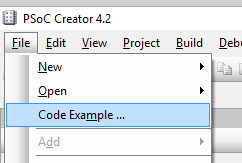 In PSoC Creator on the File->Code Example menu you will be able to pick out the code example. There are a bunch of code examples, so the easiest way to find them is the filter based on “emwin”. I did this because I knew we had used the Segger emWin Graphics library. Notice in the picture below there are two emWin examples. One with a “world” beside it and one without. The world symbol means that it is on the internet and you will need to download it. You can do that by clicking the world button. 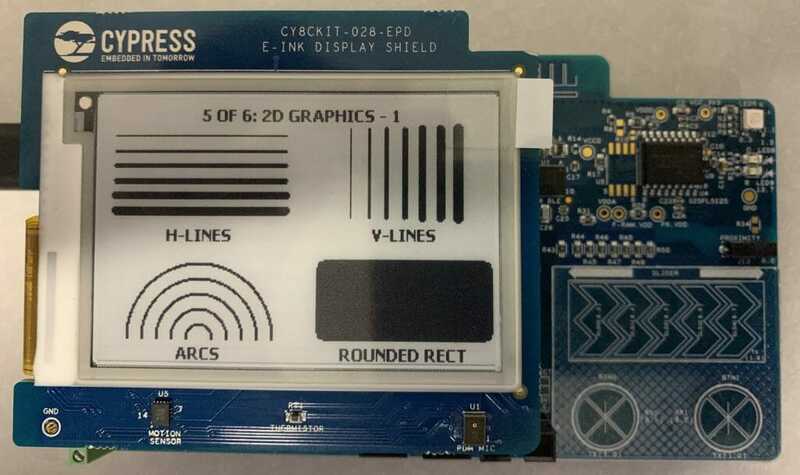 Probably, you will find that your CE223727 EmWin_EInk_Display will have a world beside it and you will need to download it before you can make the project. After all of that is done you will have a schematic (and all of the other stuff required for the project). After a while, your console window should look like this. And you development kit should do its thing. Now, lets have a look at the project. Starting on the upper left hand part of the schematic you find that the interface to the EPD is via a SPI. 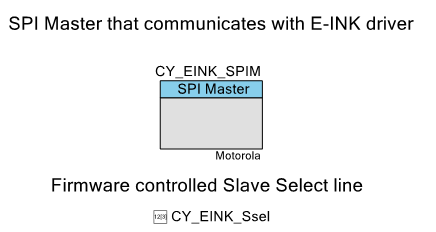 The SPI slave select is controlled with the Pervasive driver firmware rather than letting the SPI block directly control it. 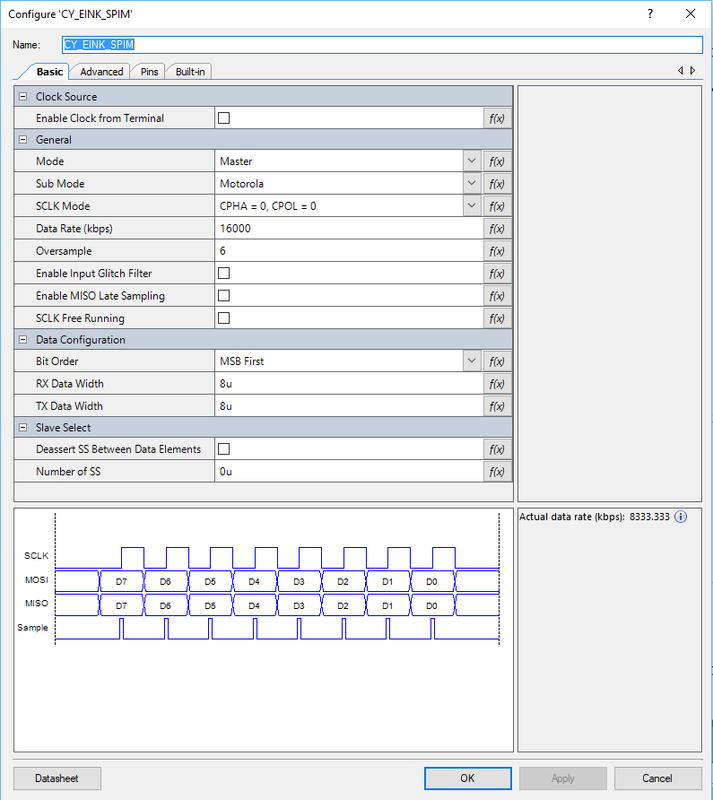 The SPI is configured to be 16 megabits per second with CPHA=0 and CPOL=0. I didn’t notice this at first, but in the picture above you can see that the actual speed of the SPI is 8.33 mbs. That isn’t 16mbs for sure. But why the gap? 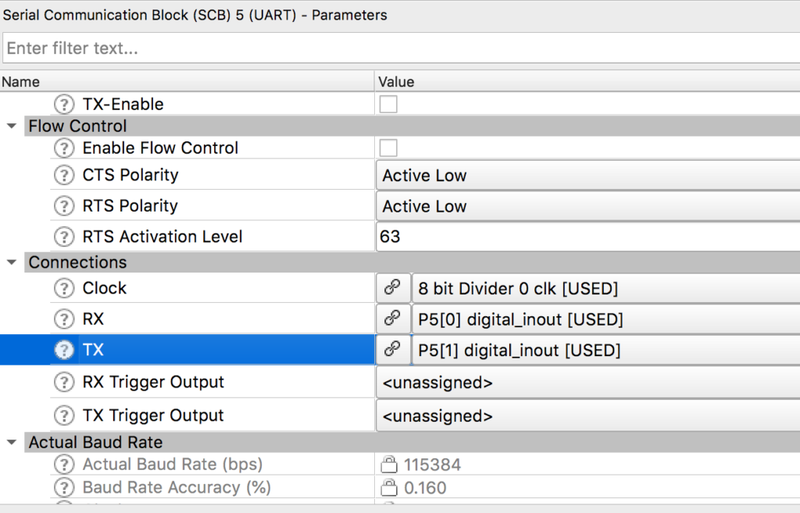 The first thing to know is that in order for the SPI block to work correctly the input clock must be set at the desired datarate times the oversample. What is oversample? That is a scheme to get rid of glitchy-ness in the input signal. In this case it will take 6 input samples to determine if the input is a 1 or a 0. (median filter I think). With this configuration the input clock to the SCB needs to be 16mbs * 6 = 96mhz. 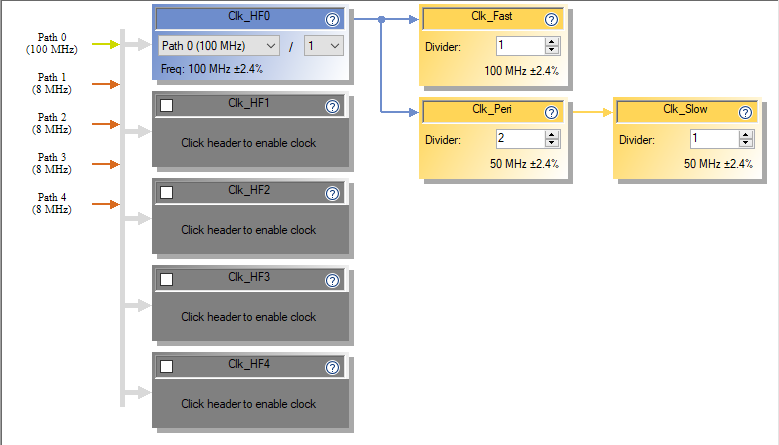 But what is the input clock frequency? If you click on the dwr->clocks you will see this screen which shows that the input clock is 50Mhz (the last line highlighted in blue). 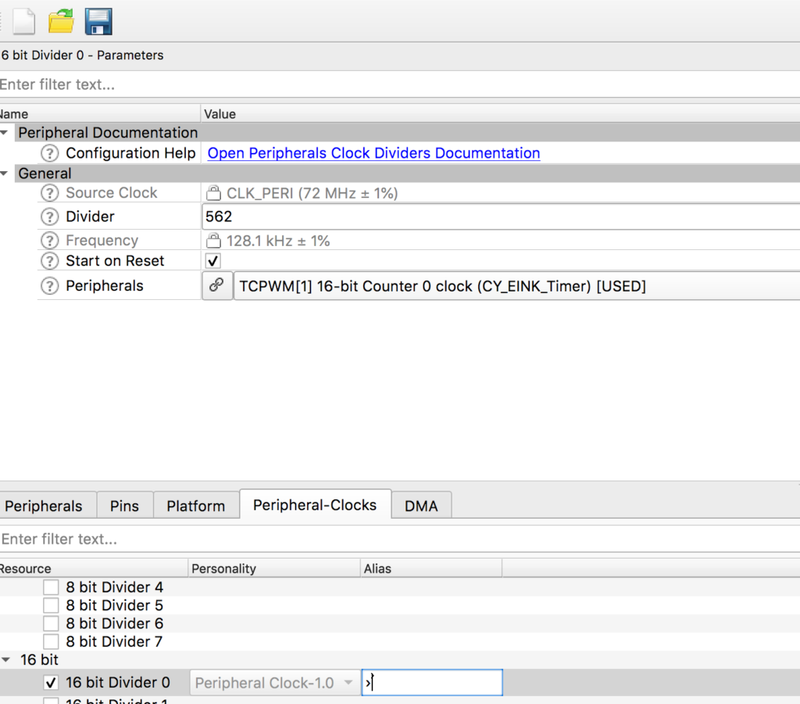 Further more you can see that the source clock for the SCB is “Clk_Peri”. When you divide 50mhz source clock rate by 6 oversample you will find that the actual bitrate is 8.33kbs. But where does the 50mhz come from? Well, the clock system is driven by the “IMO”. IMO stands for internal main oscillator and it is a trimmed RC oscillator built into the chip. (thanks Tim). This oscillator runs into an FLL which up converts it to 100MHz. That signal is then run into the “Clk_Peri” divider which divides it by two to yield a clock of 50MHz. 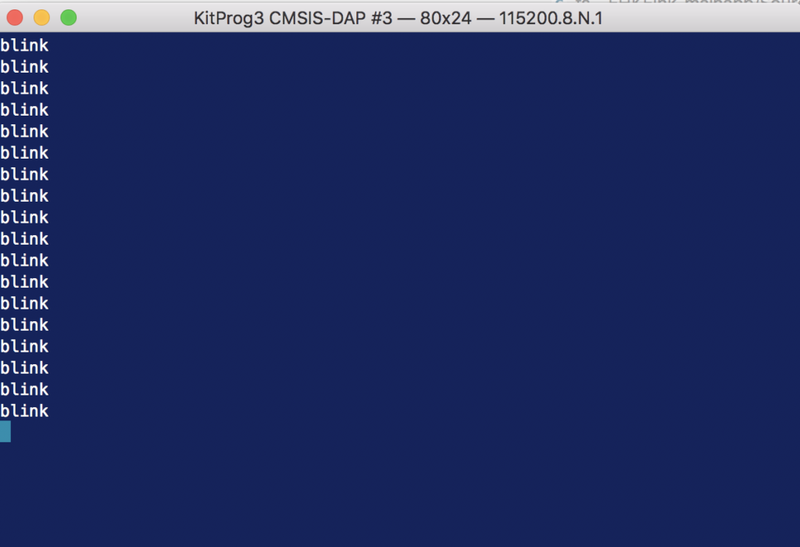 Which is not all that close to 96MHz… and means that our SPI runs at the wrong speed. 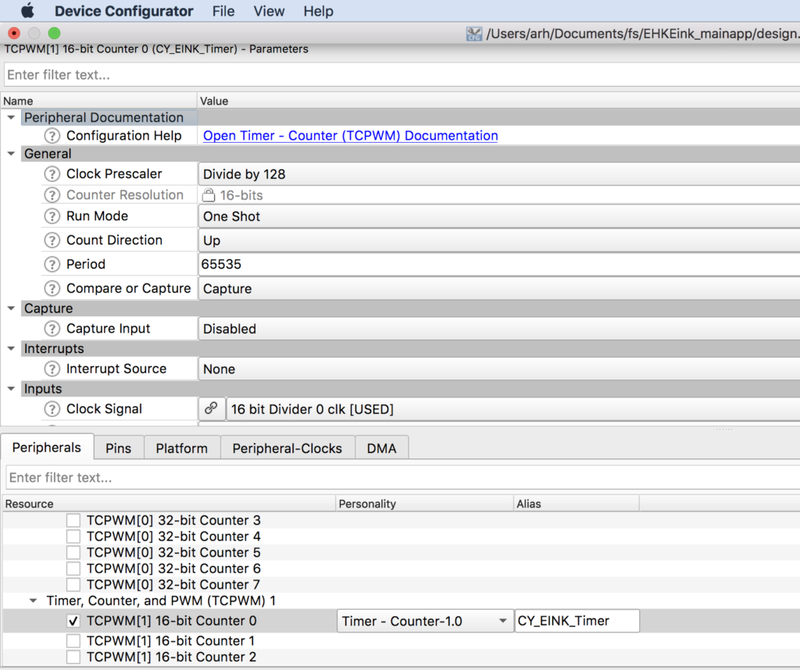 When you look in the timing document you will find that the actual chip can take up to a 20Mhz input clock. This means that our code example actually updates the screen at 42% (8.33/20) of what it could. That gives us a chance to make things faster… which I will do after the port to MTB. 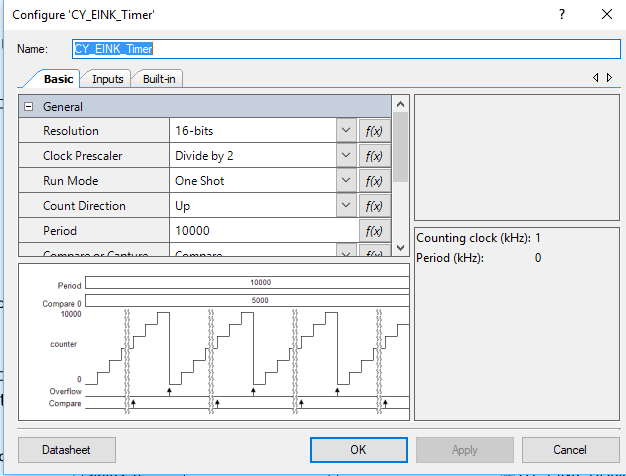 The next sectin of the schematic has a TCPWM that is configured as a timer. This has an input clock of 2kHz. Lastly there are some GPIOs that control various control pins on the display. I don’t really know what all of the pins do, but will sort it out in the next article. 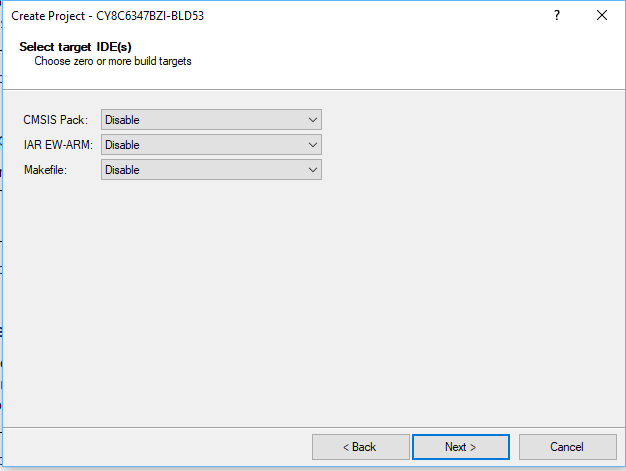 Then select the CY8CKIT-062-BLE Development Kit. 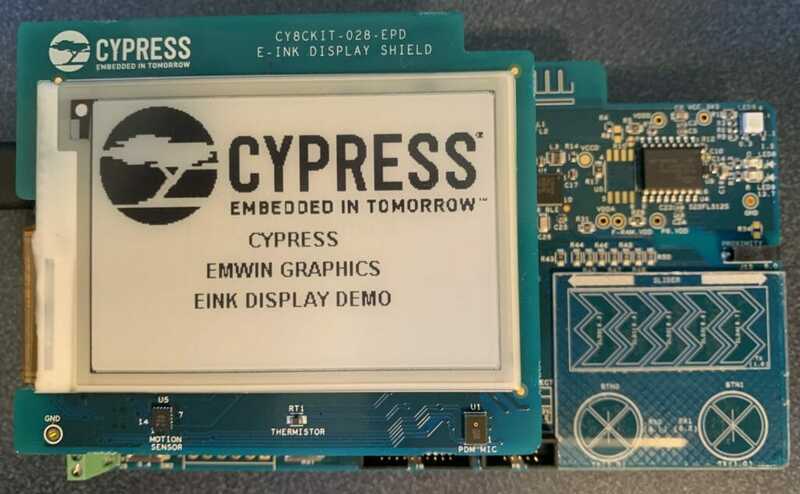 This kit comes with the CY8CKIT-028-EPD EINK Shield that you can see in the pictures above. 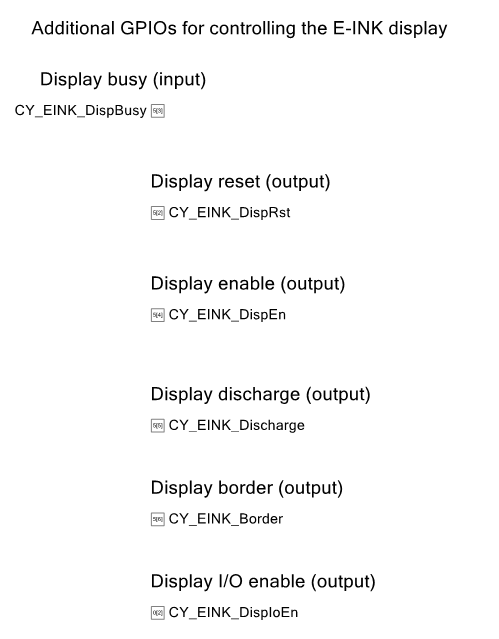 I decide to call my project “EHKEink” and I derive my project from the “EmptyPSoC6App” template. Once that is done, Let it rip. And you should end up with a screen that looks like this. 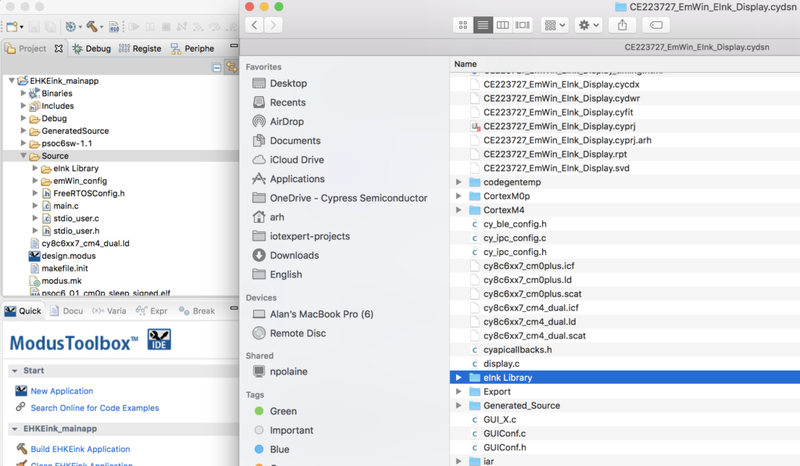 On the left in the workspace explorer you see the main app project. 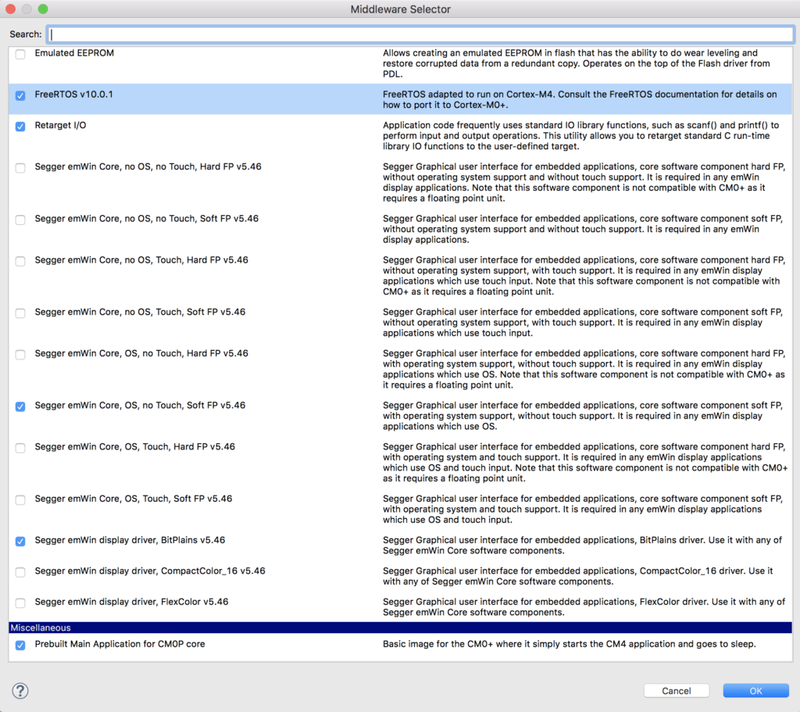 In the middle you see the readme file which explains how this project is configured. 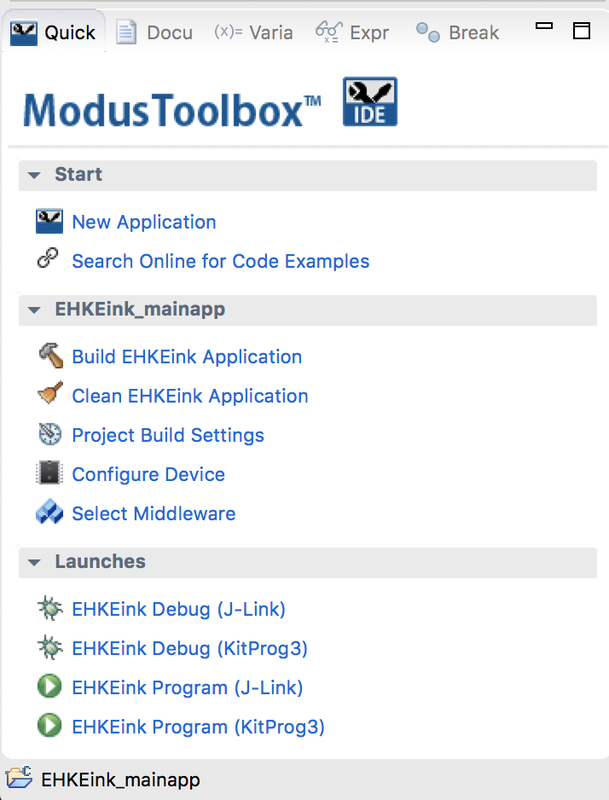 The next step is to add the “Middleware” that we need to make this project work. 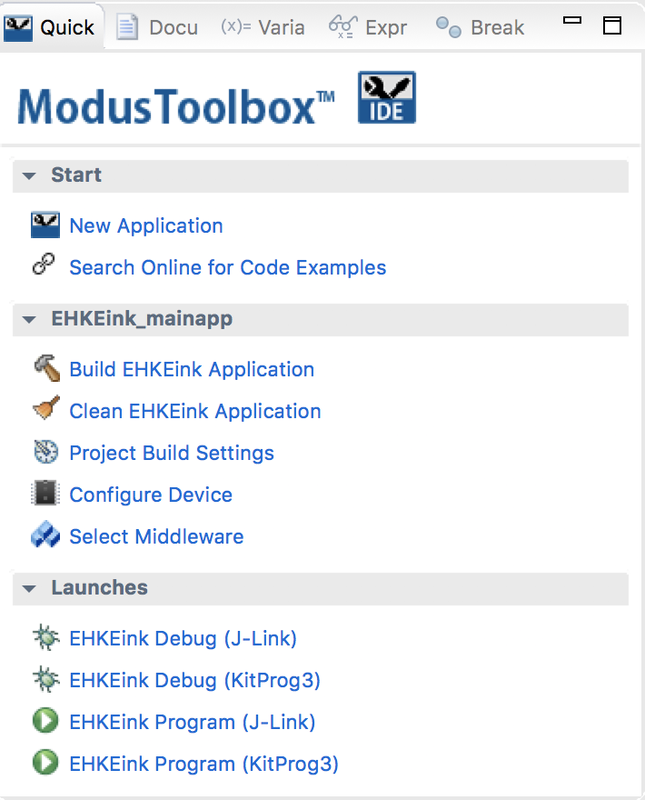 You can do this by clicking the select Middleware button from the ModusToolbox quick panel. The middleware selector will bring in all of the drivers you selected into your project. 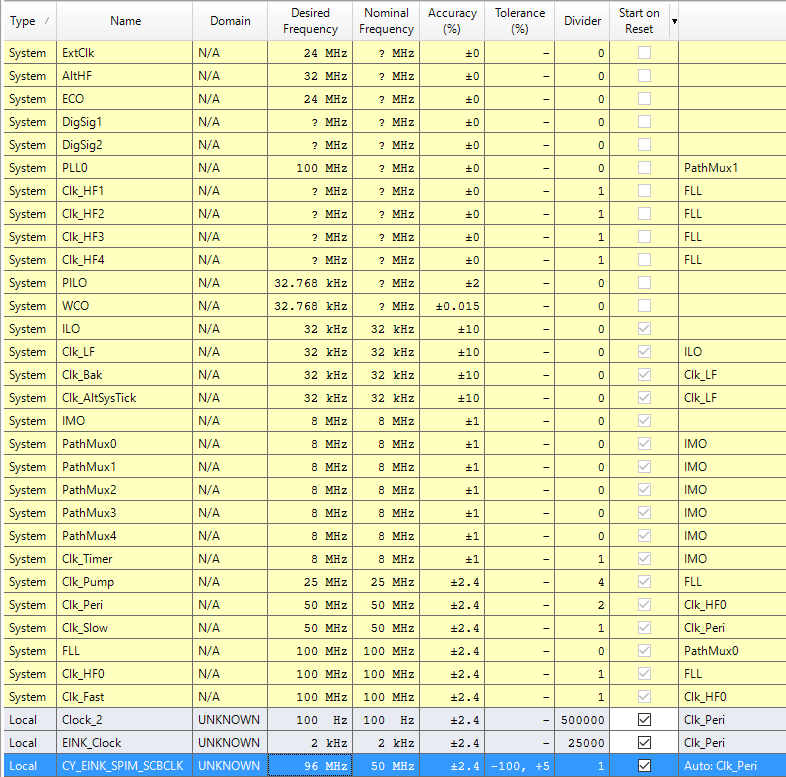 You can see that it also adds the FreeRTOS configuration file “FreeRTOSConfig.h” as well as “stdio_user.c” etc. These files endup in the source folder and are for you to edit. 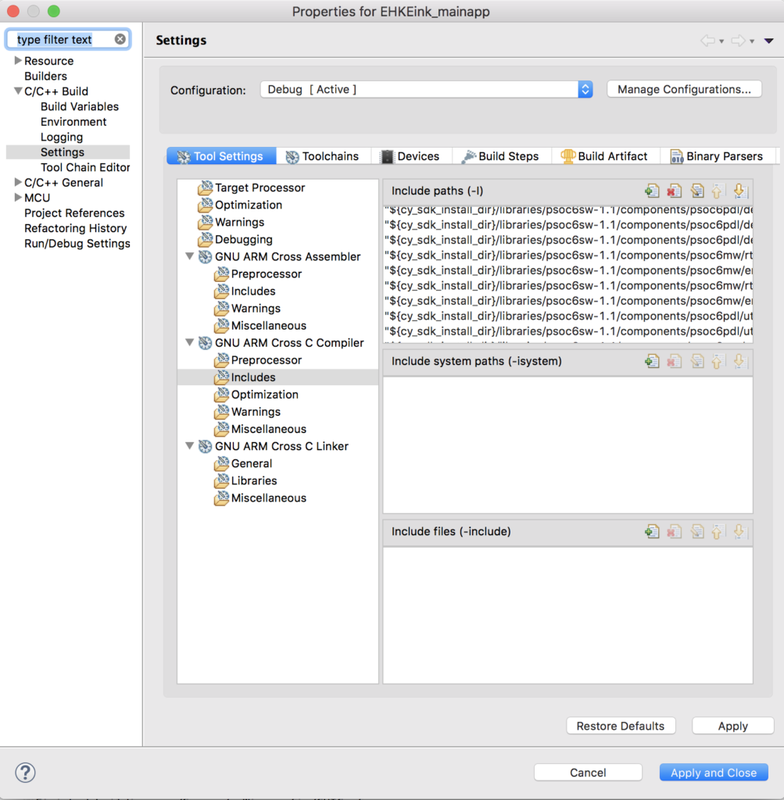 While I was working on this, I found a bug in the emWin middleware, specifically the the configuration files for BitPlains get included twice. To fix this you need to change the project properties and remove the path to “..components/psoc6mw/emWin/code/drivers/BitPlains/config”. 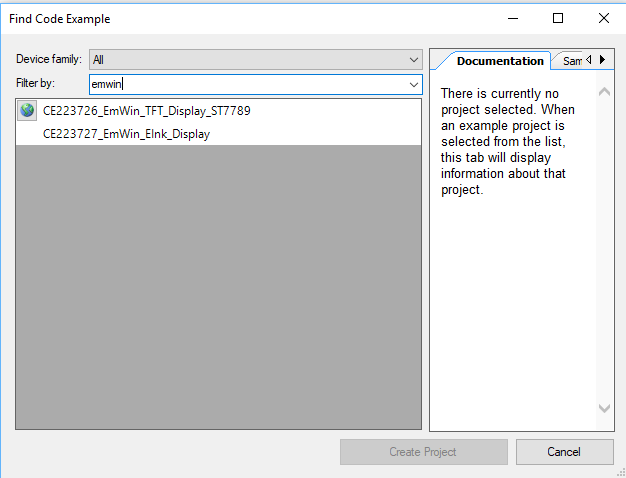 To do this, select the project in the workspace explorer then right click and select properties. 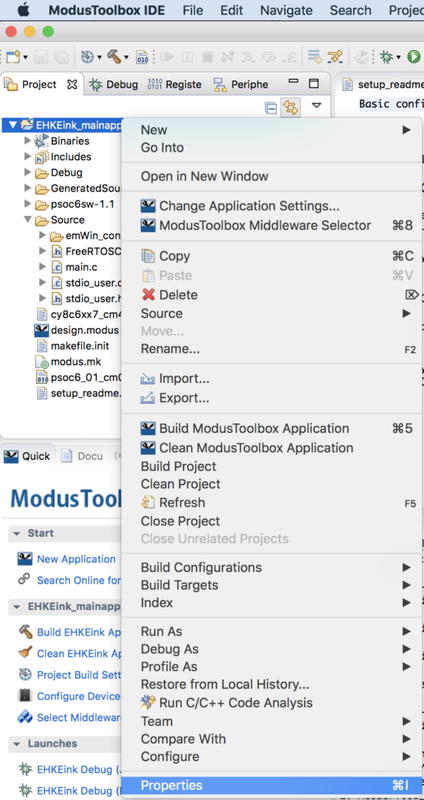 Modus Toolbox does not have a “schematic” or a “dwr” like PSoC Creator. In order to achieve the same functionality we built the “Configurator”. This tool will let you setup all of the peripherals in your project. 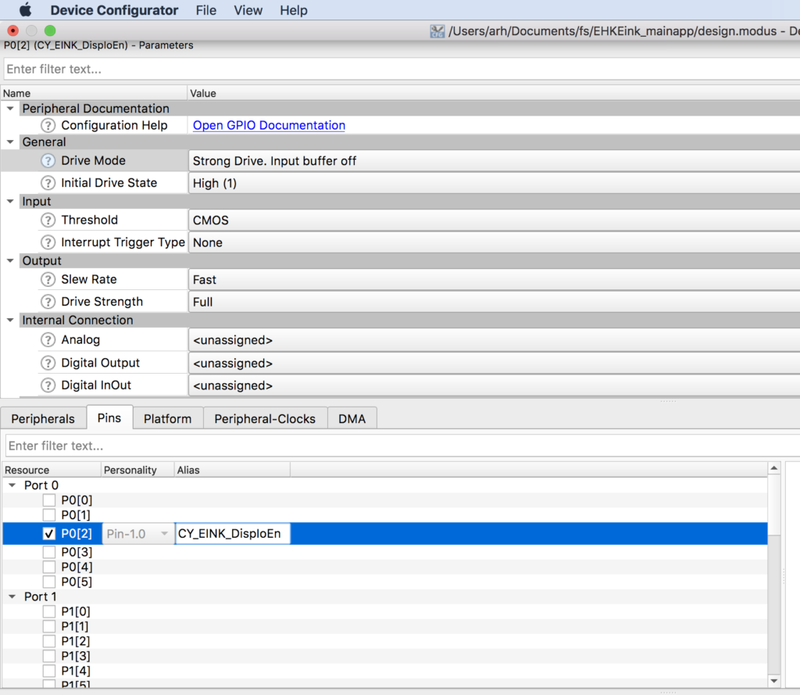 To run it select “Configure Device” in the MTB Quick Panel. Plus I want a UART to connect to standard I/O. First, click on the “Pins” tab. This lets you set all of the configuration information for each of the pins on the chip. I will go one by one enabling the pins and setting them as digital inputs or output. I am going to give all of the pins that exact same names that they had in the PSoC Creator Project because I know the author of that project used PDL. 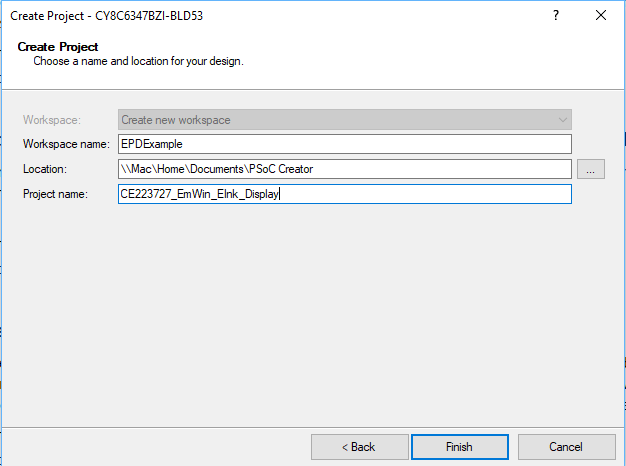 When you give a pin a name in the configurator it will generate #defines or c structures based on the name. 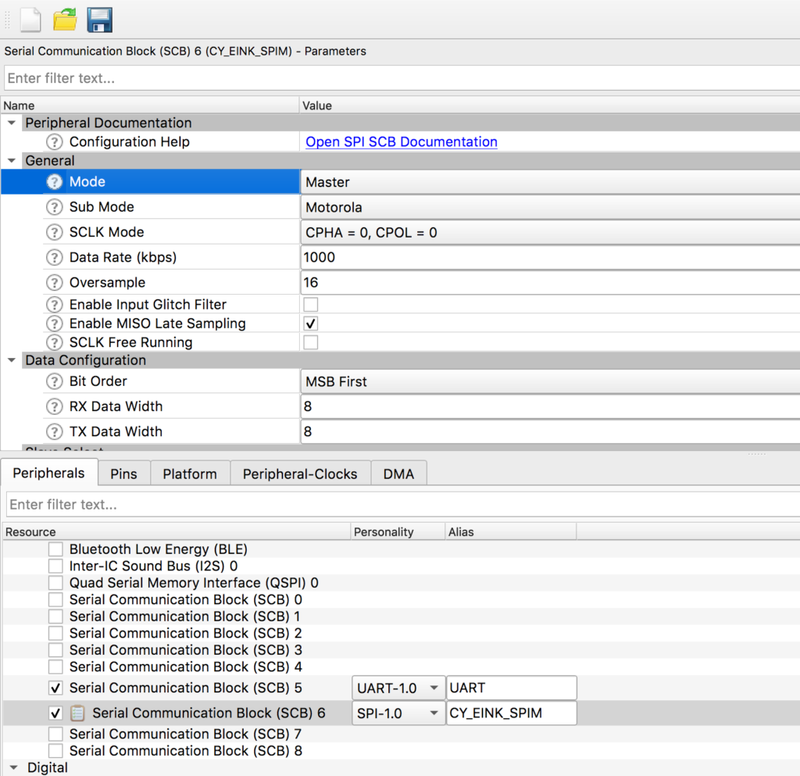 This will make the source code the original PSoC Creator author wrote almost exactly compatible with MTB. 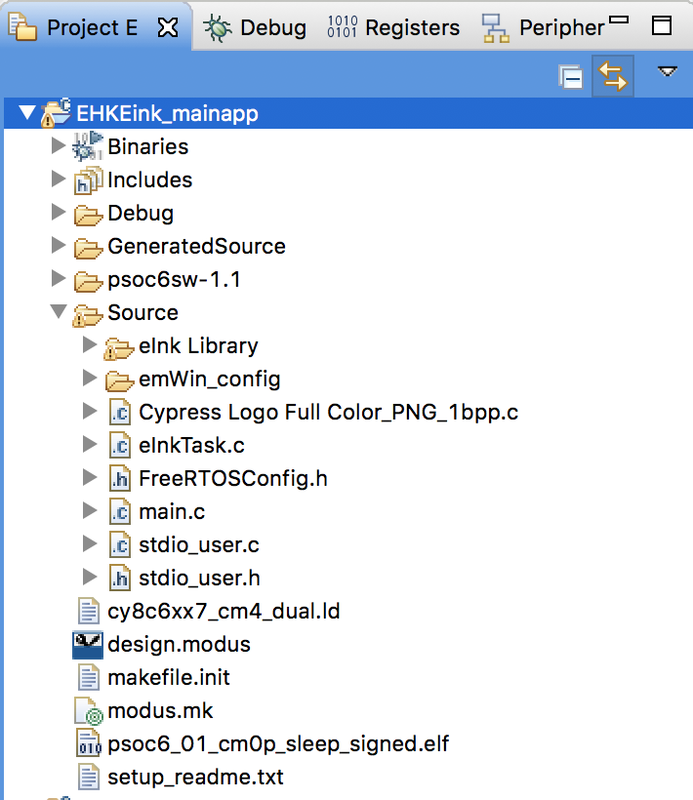 Here is an example of the first output pin which is P0 and is named CY_EINK_DispIoEn. For the output pins you need to do four things. 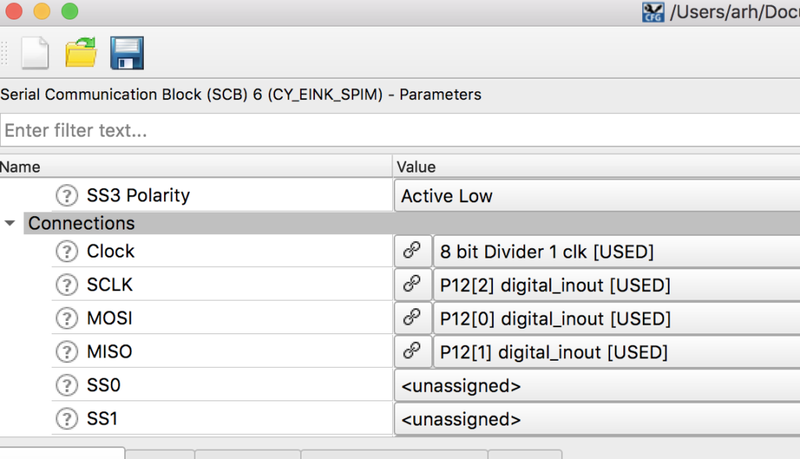 Now that the digital pins are configured, you can setup the STDIO Uart. This will be used to send debugging messages to the console Uart which is attached to your computer via a USB<->UART bridge in KitProg 3. #warning This is a template. Modify it according to your project and remove this line. 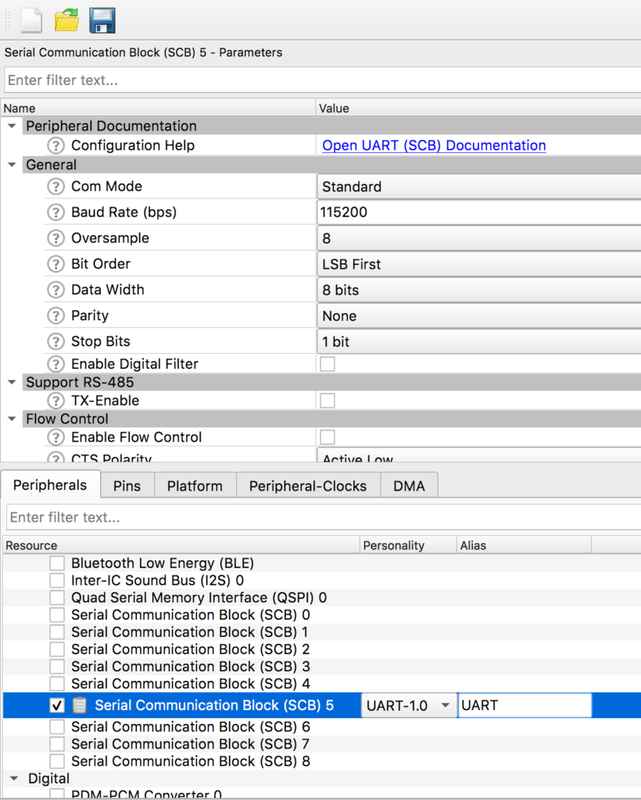 In main start the UART and start the blinking LED task. As I edited the code I notice that it can’t find “LED_RED” which made me realize that I forgot to add the LED_RED attached to P0 in the configuration. 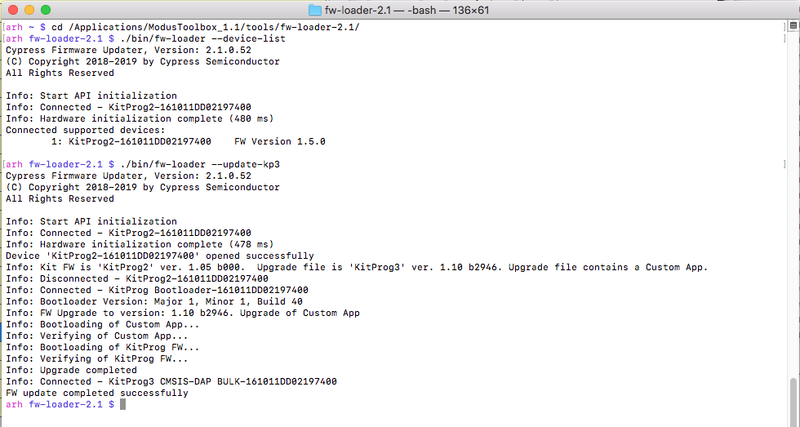 So, I go back and update P0 to be LED_RED as strong drive digital output. I get this message in the console. Now when i program I get both the LED blinking and the console printing blink. You will also need the four files “GUIConf.c”, “GUIConf.h”, “LCDConf.h” and “LCDConf.c”. 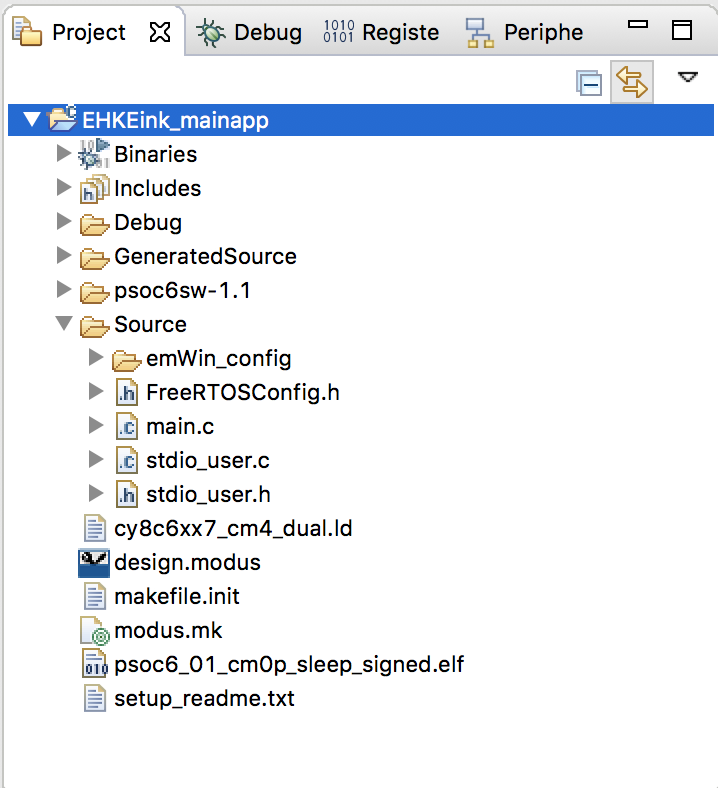 Copy and paste them into the emWin_config directory. For this project I am going to use the code that existed in “main.c” from the original PSoC Creator project. But I want it to be a task (and a few other changes). To facilitate things, I will copy it as well. 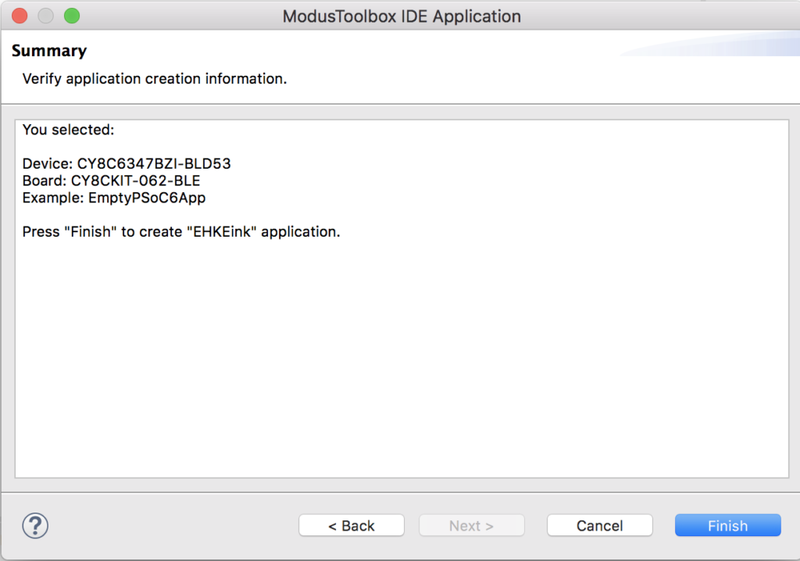 Then rename it to eInkTask.c. And finally, the file “Cypress Logo Full Color_png1bpp.c” needs to be copied as well. Now we need to fix all of the driver code. Big picture you will need to take the following actions. 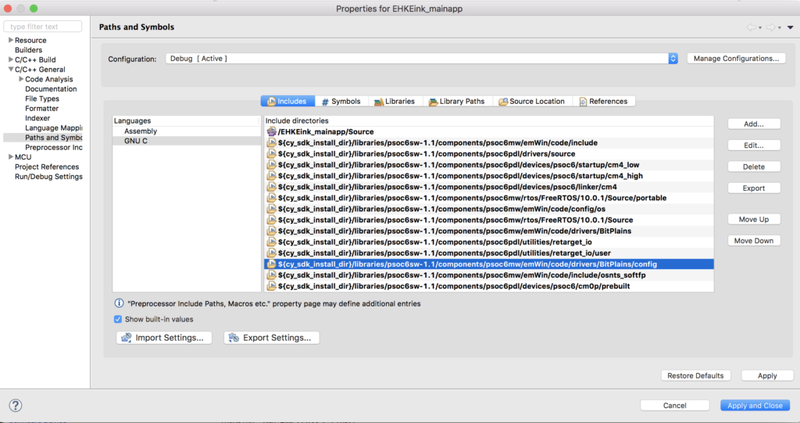 You can select both directories at once. Update #include “project.h” to be #include “cycfg.h” on line 59. 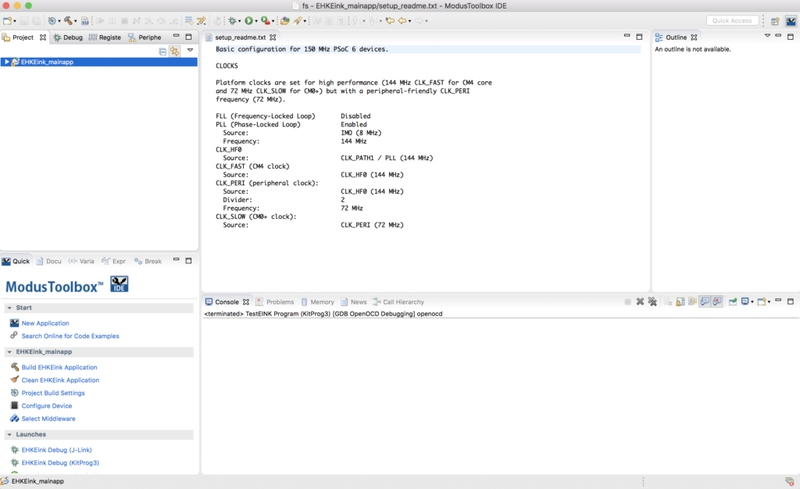 Add “FreeRTOS.h” and “task.h” to the includes. Remove ” __enable_irq(); /* Enable global interrupts. */” from the old main on line 695. 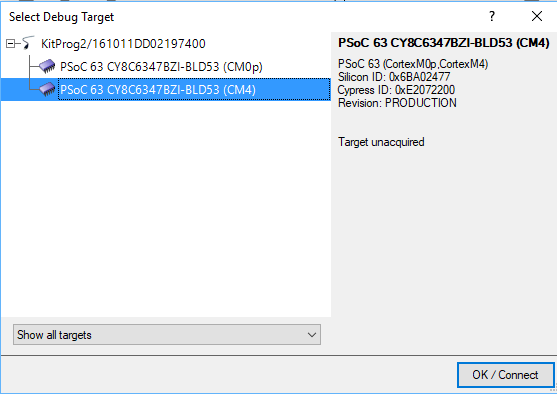 Update the #include <project.h> to be #include “cycfg.h” on line 59. 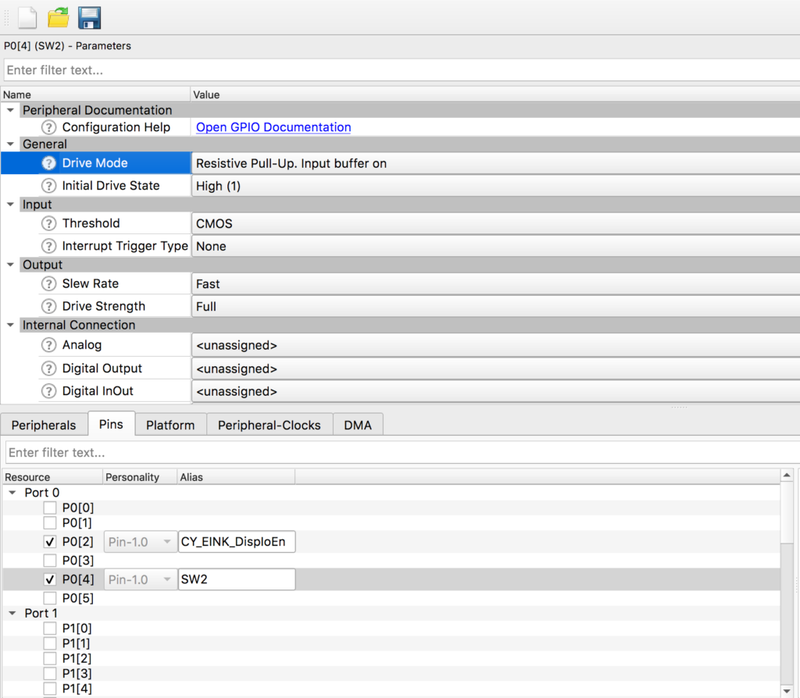 The three timer functions in this file use the old PSoC Creator component timer interface APIs rather than the PDL interface. 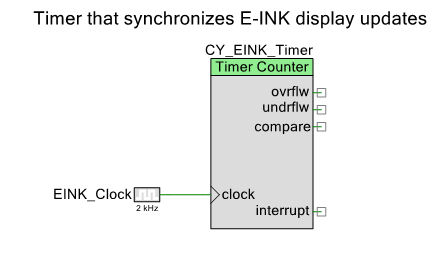 So you will need to change Cy_EINK_TimerInit, Cy_EINK_GetTimeTick and Cy_EINK_TimerStop to use PDL. 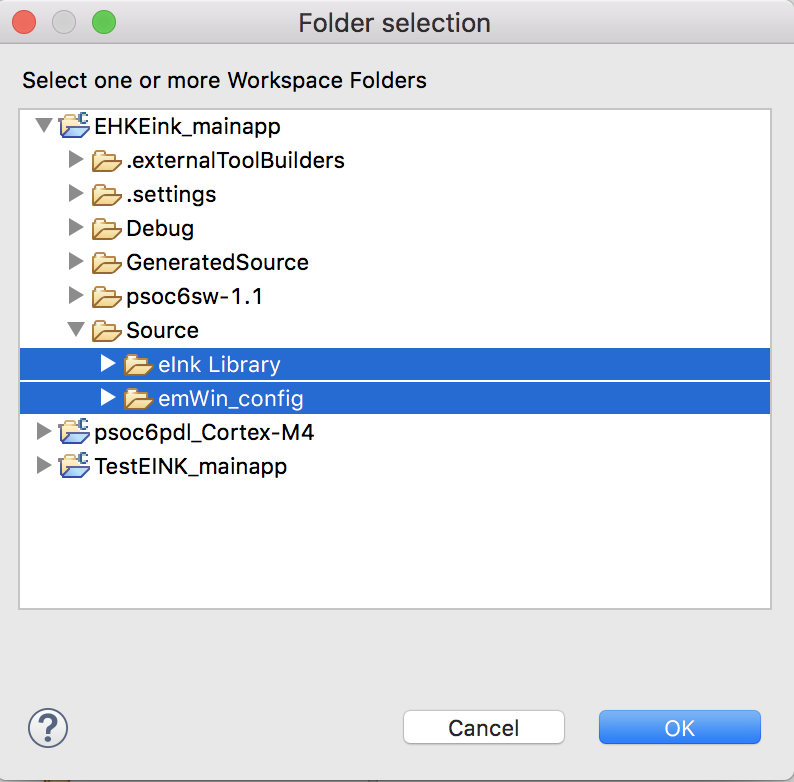 And start the eInkTask on line 58. Notice that I put in 10K for the stacksize… but I dont actually know how much it takes. The ability to scroll through a bunch of screens using the SW2 button. Explain more about the EINK.